Leatherman Skeletool CX – Should You Add This One to Your Gear? Isn’t it annoying when you’re out in the wild and you find yourself needing a tool but it’s nowhere to be found? It’s just frustrating to be left hanging on an unfinished task. Of course, bringing multiple tools to your trip would be a burden. That's why there are portable multi-tools like the Leatherman Skeletool CX Multi-tool. When it comes to multi-purpose tools that are truly portable, you can’t go wrong with a good multi-tool. From EDC (every day carry) to outdoor applications, it’s never a bad idea to have a multi-tool on your person. After all, this is one of those things that it’s better to have and not need it, than otherwise. Today, we set our sights on the Leatherman Skeletool CX Multi-tool. Is this multi-purpose tool worth the pocket real estate? Let’s find out. 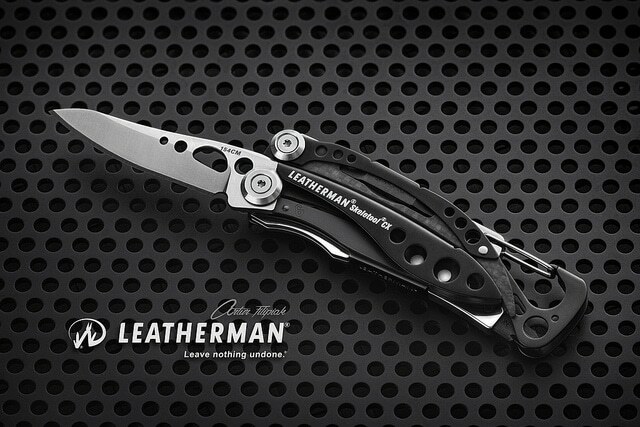 Leatherman is widely considered to be a premier multi-tool manufacturer in the United States. They offer many multi-tools in different sizes, each designed for varying users and situations. Is the Skeletool CX a worthy addition to the Leatherman multi-tool line? Let’s take a closer look at some of its key features. 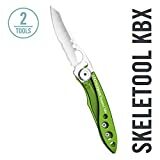 Right off the bat, you can see that the Skeletool is a beautiful multi-tool. It looks like it’s something that’s designed by Apple that gives a striking balance of form and function. The design is fairly minimalist but I can’t help but see serious quality even with face value alone. The blending of carbon fiber and diamond-like coating makes for some striking visual appeal. It won’t be surprising if people bought this tool just for the looks alone. What’s a multi-tool if it can’t provide the appropriate functions for various applications? When it comes to the number of functions, the Leatherman Skeletool CX doesn’t have that many to offer. At the basic level, you have the pliers, the blade, and a bit driver. However, once you look closer, there’s more to the tools than what’s officially listed. For example, the pliers can be used to cut wires and do a great job. Next, the lanyard/key clip also doubles as a bottle opener, which is nothing short of great. Lastly, the bit driver can be used for unlimited accessorization. You can also purchase an upgrade pack for a more comprehensive set of bits. As you can see, this Leatherman Skeletool Multi-tool is the antithesis of the traditional multi-tool. Instead of cramming many useful tools in a highly portable package, the Skeletool opted to provide only the basic functions in an ultra-lightweight and minimal form factor. The Skeletool’s design has been optimized for ergonomics. First, the 154cm blade features good orientation and can be accessed via a simple one-thumb swipe. When in pliers mode, the rounded carbon fiber handle provides good comfort, as opposed to other similar multi-tools with plastic or metal handles. The bit driver rests at the end of the narrow handle, which enables easier reach and longer grabbing. All of these features help the Skeletool CX score higher in the ergonomics department. You can’t talk about a multi-tool without mentioning its portability. At 4.96 ounces, the Leatherman Skeletool CX is one of the lightest multi-tools that you can buy. This lightweight profile is attributed to the quality carbon fiber materials. However, the main reason why this multi-tool is really lightweight is that it only has the essential functions. Most similar products would pack in every imaginable tool, which defeats the purpose of carrying an easy-to-carry set of tools. Not to mention, many of these tools are hardly used. The Skeletool’s functions are simplified, and there’s a good chance that you will use most of the available features, more often than not. As for the carry options, I carried the Skeletool in my pocket with little to no problems. 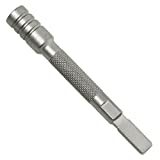 However, the smooth edges can be an issue if you carry this tool loosely in your pocket. This Leatherman doesn’t come with a sheath, but it does include an excellent pocket clip. This is clearly not a multi-tool for someone who’s looking for an extensive list of tools. And speaking of tools, the pliers are a little bit too thin for my taste, and it seems like it’s going to break with normal use. Other than that, I have no other complaints. However, there are other users that commented on the quality of the Skeletool CX. They have been saying that the tool is not that durable, with small bits falling out with continued use. Fortunately, we didn’t run into such an issue with our tests. Is This a Worthy Addition to Your EDC? 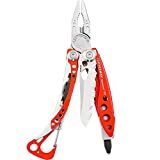 If you’re looking for a reliable, lightweight multi-tool that offers the most basic functions, the Leatherman Skeletool CX is an easy recommendation. It’s compact, easy to use, and functional, what more can you ask for?